Not only was David Bowie a rather good musician, but he turned his talents to art as well. His diverse talents are encapsulated by two lots sold in separate UK auctions, with the first coming at Suffolk saleroom Bishop & Miller on November 10. The most publicised lots from this Stowmarket sale were inevitably those from Ed Sheeran’s music memorabilia collection, ranging from his custom-made Prototype Martin & Co played guitar (hammered down at £10,200) to a lurid bright orange pair of his boxer shorts (£120, condition not known). The Sheeran lots were sold to support the Zest Charity. 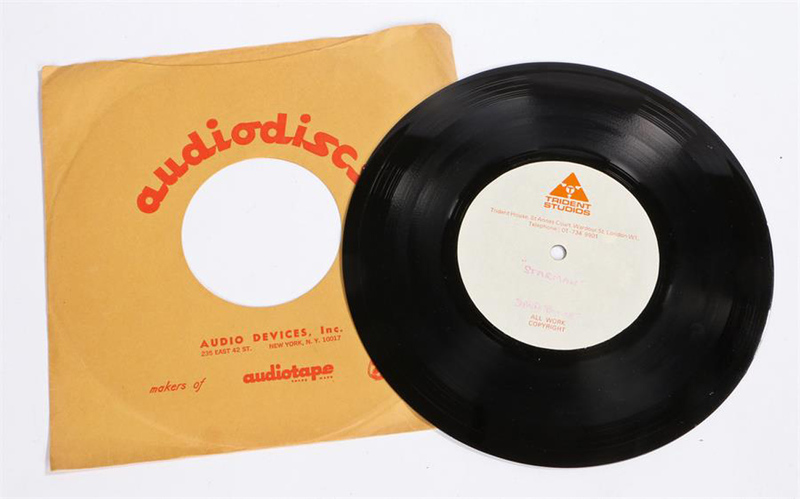 However, a less recent musical lot also impressed to sell for £4700 (plus 19% buyer’s premium) against an estimate of £1500-2000: a David Bowie record. The Starman, 8in Trident Studio Acetate was recorded on February 4, 1972. The song was a late addition to the LP, The Rise And Fall Of Ziggy Stardust And The Spiders From Mars, replacing Round And Round, a Chuck Berry cover version. It is arguably his most familiar song and his performance of it on Top Of The Pops on July 6, 1972, inspired a generation of pop stars and secured his status as a major star. Supplied with the record is a letter of provenance from the vendor, who states she was secretary to Tony Defries (Bowie's manager) and the record has been in her possession since 1972. Eight days later, a little to the south-west in the Chelsea saleroom of Lots Road Auctions, it was Bowie’s art showcased. 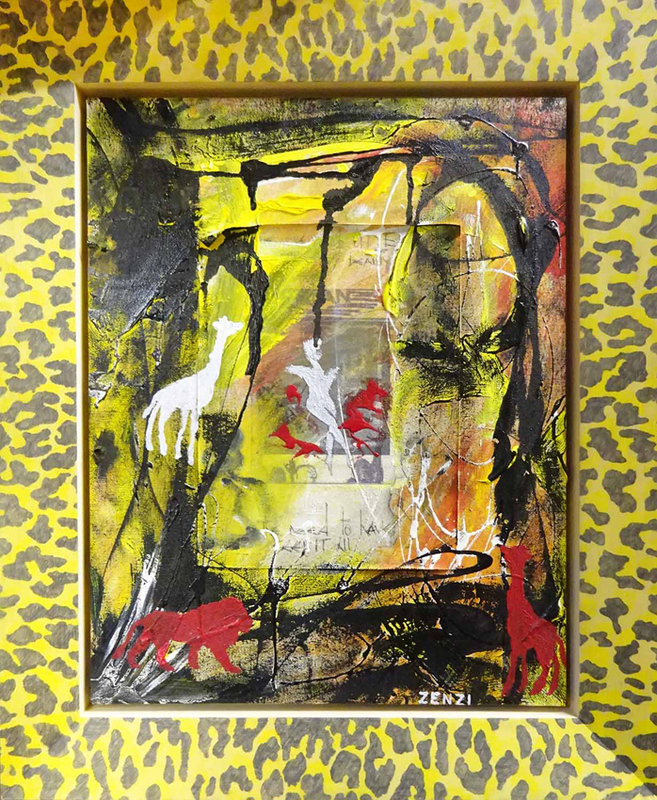 Zenzi, a 50 x 39cm (19.5 x 15in) acrylic and collage on canvas, titled lower right, in leopard print painted frame, sold for £21,000 against an estimate of £5000-8000 (plus 22% buyer’s premium). According to a 2016 report in the New York Times: “One day in the early 1990s, Karen Wright, then editor of the British magazine Modern Painters, received a phone call asking if David Bowie could come to dinner with her editorial board. She arranged to meet at the Groucho Club in London. When Wright arrived, Bowie was looking at a Picasso catalogue, and they immediately began to talk about the images, and then quickly chose a cover for her next magazine. Bowie joined the board, and over the next few years he interviewed numerous art world figures, including Balthus, Damien Hirst, Tracey Emin, Jeff Koons and Julian Schnabel. Kevin Cann, author of a 2010 book on Bowie, has said that Bowie first immersed himself in painting after moving to Berlin in 1976, as a distraction from drugs problems. Bowie was also a collector of note. After his death, Sotheby’s held a sale of his collection on November 10, 2016. Some fierce competition arrived on particular lots, helping the sale post 12 artists' records in all – all aided by the Bowie provenance and ‘here to be sold’ estimates. Fancy a classic 1973 photograph of Bowie? 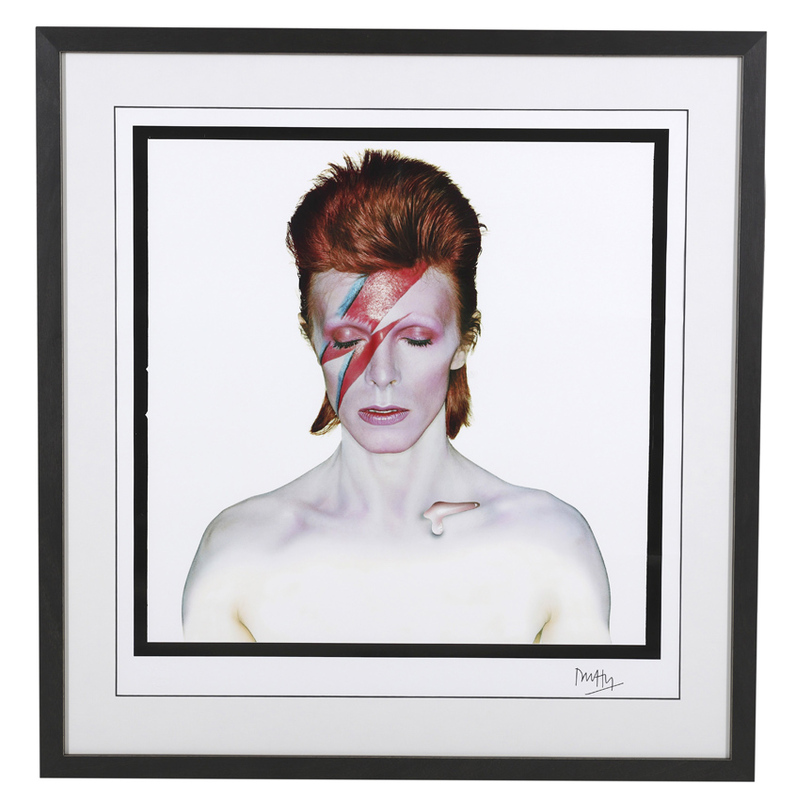 Chiswick Auctions is offering an image taken by Brian Duffy estimated at £6500-7500 on November 28 (see illustration at top of the page).